Superior quality, high-performance hunting optics can find their way around your neck for a surprisingly affordable price. Grasp the long distance power of the 12x50 Diamondback as you close in on details missed by others. Taking its lead from the Diamondback rattlesnake, this rugged binocular is striking in how well it detects life in low light. Huge field-of-view—the largest in its class—with enhanced fully multi-coated optics, phase-corrected prisms, waterproof and fogproof construction, soft tapered eyecups, and rugged rubber armor. It's all there. Now you can use "wow!" and "thank you" in the same sentence. Taking its lead from the Diamondback rattlesnake, this rugged binocular is striking in how well it detects life in low light. Huge field-of-view—the largest in its class—with enhanced fully multi-coated optics, phase-corrected prisms, waterproof and fogproof construction, soft tapered eyecups, and rugged rubber armor. It's all there. Now you can use "wow!" and "thank you" in the same sentence. Grasp the light-piercing power of the 10x50 Diamondback as you close in on details missed by others at this time of day. Taking its lead from the Diamondback rattlesnake, this rugged binocular is striking in how well it detects life in low light. 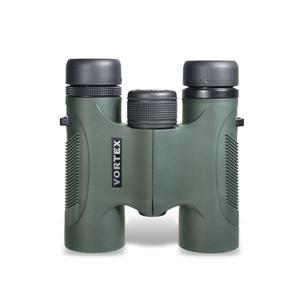 Huge field-of-view—the largest in its class—with enhanced fully multi-coated optics, phase-corrected prisms, waterproof and fogproof construction, soft tapered eyecups, and rugged rubber armor. It's all there. Now you can use "wow!" and "thank you" in the same sentence. Boasting large, light-grasping objectives along with greater viewing power than delivered by 8x optics, the 8.5x50 Diamondback lets you close in on details missed by others at this time of day. Taking its lead from the Diamondback rattlesnake, this rugged binocular is striking in how well it detects life in low light. 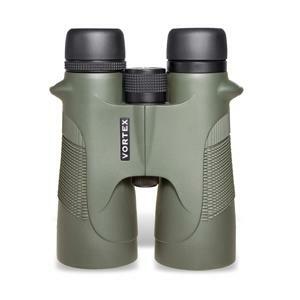 Huge field-of-view—the largest in its class— with enhanced fully multi-coated optics, phase-corrected prisms, waterproof and fogproof construction, soft tapered eyecups, rugged rubber armor. It's all there. Now you can use "wow!" and "thank you" in the same sentence. 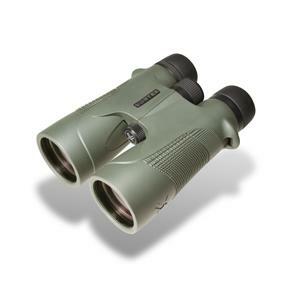 The smooth focusing 8x42 Diamondback binocular takes you to the fine details you prize. Taking its lead from the Diamondback rattlesnake, this rugged binocular is striking in how well it detects life in low light. 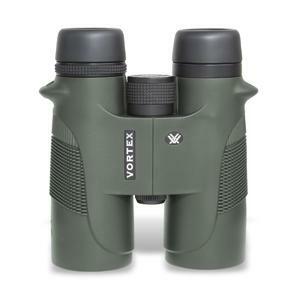 Look for a huge field-of-view—the largest in its class—with enhanced fully multi-coated optics, phase-corrected prisms, waterproof and fogproof construction, soft tapered eyecups, and rugged rubber armor. It's all there. Now you can use "wow!" and "thank you" in the same sentence.